A collection of all the best traditional wedding music painstakingly curated to create an entire wedding experience. Includes Bach, Mozart, and Brahms. 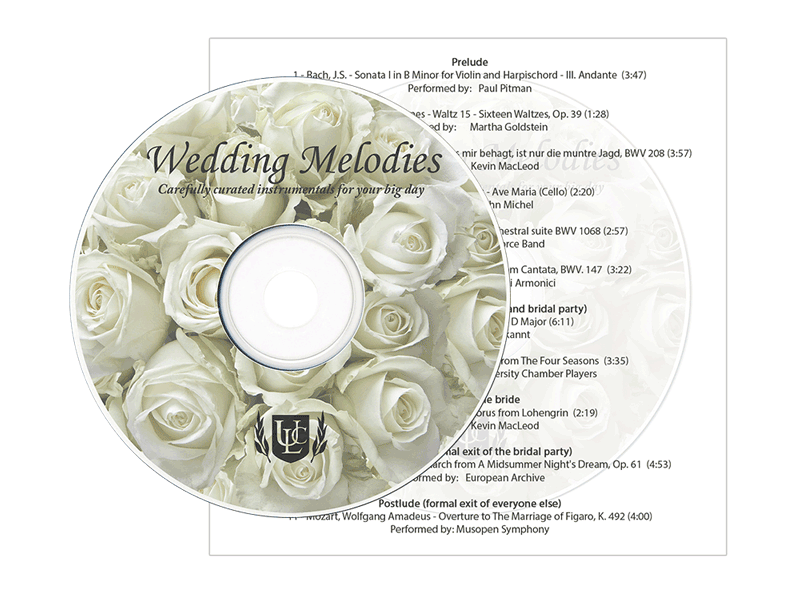 The CD is a collection of the most popular songs from traditional wedding music. It creates the full wedding experience from start to finish, from prelude to postlude.